To provide professional athletes in BMX, FMX and Skateboarding with financial support after a severe injury and granting funds for rehabilitation, equipment, long-term disability and educational scholarships. Athlete Recovery Fund began in the wake of the 2007 season. We had some big injuries and it struck me that there was nothing in place to provide for such athletes who suffer these injuries. Some event organizers do more than others, but for the most part once the athlete leaves the contest there is no support. Athletes like Stephen Murray, Jake Brown, Mike Vincent, Jimmy Levan and Jason Fischer just to name a few. Goal number one was to visit with Alli, ESPN and ASA to find out the true reason why nothing was set up to assist these athletes. They all said generally the same thing; There needs to be a third party to organize and manage the funds so that we can contribute to that third party. I began discussing with as many non profit organizations as I could to understand the process and the benefits that they provided. I found that there are many groups who support AMA Professional Motocross Racers, and they each provide interesting benefits. Very quickly I could see the level of attention that would be needed to pull this off and I started with an attorney firm in San Francisco that was recommended to me because all that they do is work for non profit corporations. 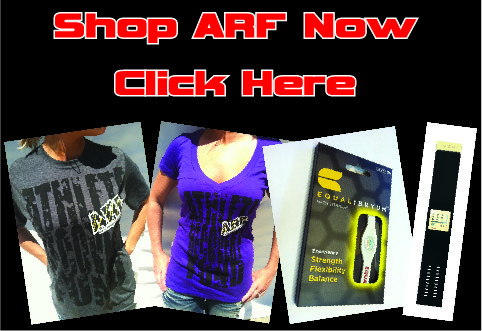 They have been very helpful and answered all of my questions to get ARF this far. Alli being the closest to Stephen's injury was the first to step up and provide some capital so that we could make ARF official. Filing for the Corporation and the IRS Non Profit application is a lengthy process and I am very pleased to have come so far in such a short amount of time. ARF has some very lofty goals which we hope to accomplish in a short amount of time. However we do not want to lose sight of the initial goals and get caught up on plans that will simply take more time to accomplish. This is why we have built short term to long term goal plans. We will strive to be proficient in each objective before moving on to the next thing. Thank you to everyone who supports The Athlete Recovery Fund! Read an Article in USA Today on the Athlete Recovery Fund. Athelete Recovery Fund expands Medjet membership to ski, snowboard, surfing and MMA professionals. For information regarding applying for an ARF grant.